Sugar Cookies are a holiday tradition in my family for generations. I still have my mother’s and grandmother’s cookie cutters, and I love getting them out every year to make Christmas cookies for my family. But the sugar content in my old gluten free sugar cookie recipe is through the roof! I just can’t do it anymore. These Cookie Cutter Cookies are grain free and very low sugar in both the cookie and the icing recipes. I always strive to make my sweet treats with the least amount of sugar possible to make a recipe work. Since these cookies don’t have any type of grain/flour to hold them together, make sure you handle them gently throughout the baking process. Oh, and when you prepare the icing, use this trick: keep your cans of coconut cream/coconut milk in the fridge over night, open the can, punch a knife through the cream and drain the water off, and you’ll be left with just the creamiest part to use as the base for your icing. In a large mixing bowl, whisk together almond flour, salt, baking soda, and coconut sugar. In small mixing bowl, whisk together melted butter, coconut nectar, and vanilla extract. Add the wet ingredients to the dry ingredients, using a wooden spoon to combine into a dough, making sure to mix well. Remove dough from bowl and wrap in plastic wrap or parchment paper. Place in fridge for 1-2 hours. Preheat oven to 350 degrees. Between two pieces of parchment paper, roll out dough with a rolling pin to 1/4” thickness. Cut out shapes with cookie cutters, and very gently place cookies onto non stick baking sheet or silpat. Bake for 10-13 minutes, checking to make sure they don’t burn. Remove from oven, and very gently lift cookies from baking sheet using a flat spatula onto paper towels. Let cool completely before adding frosting. In medium mixing bowl, whisk together all frosting ingredients until smooth and creamy. Add in food coloring if desired, then spread frosting atop cookies and serve immediately or refrigerate until serving. Love the recipe – thank you!! I’m T1D so I can’t do coconut nectar or honey. I was wondering if you had any suggestions for a low carb swap. If not I’ll play with the recipe and some swerve. thank you!! If you’re T1D, follow doctors orders!! And do what you need to do to avoid the sugars, so if it’s Serve that works for you, then have at it! I don’t do Swerve or any artificial sweeteners or sugar substitutes. I’m in dietary ketosis 95% of the time and then when I make a treat, I make it with the lowest amount of sweet possible. That’s what this recipe is. So if I recommended another low carb swap, it would have the same amount of sugar b/c sugar is sugar. If you use swerve for your dessert recipes, then just do a substitution the way the swerve people recommend. i’m not familiar with the product, but I’ve heard good things! Can also sub butternut squash for pumpkin. I am not in ketosis, I just do not eat any grains or sugars. I’m not familiar with yacon syrup. If it’s a sugar, then you can use it in any of the sweets recipes, subbing out the other sugar in the recipe. BTW Veggies are indeed NSNG. Don’t fear the leafy greens and the cruciferious veggies. In fact, they make us all better people! Yacon syrup is made from the roots of the yacon plant from South America. The juice from the roots is made into a syrup via an evaporation process. The syrup contains no glucose, but more complex sugars (inulin) that are hardly absorbed by the body. The fructooligosaccharides (FOS, a polymer of fructose) where dry yacon powder consists of 50-70% are not even absorbed by the body . As a result, the syrup is low in calories (half of honey) and glycemic value and does not have the negative effects of fructose. FOS also have a prebiotic effect and help the digestion in your gut (Source: yacon syrup sweetener). The roots also contain a lot of potassium and vitamins E, A and C.
oooh, I will definitely check it out–I bet it’s at whole foods (or maybe even thrive market). Thanks for taking the time to write all that out! 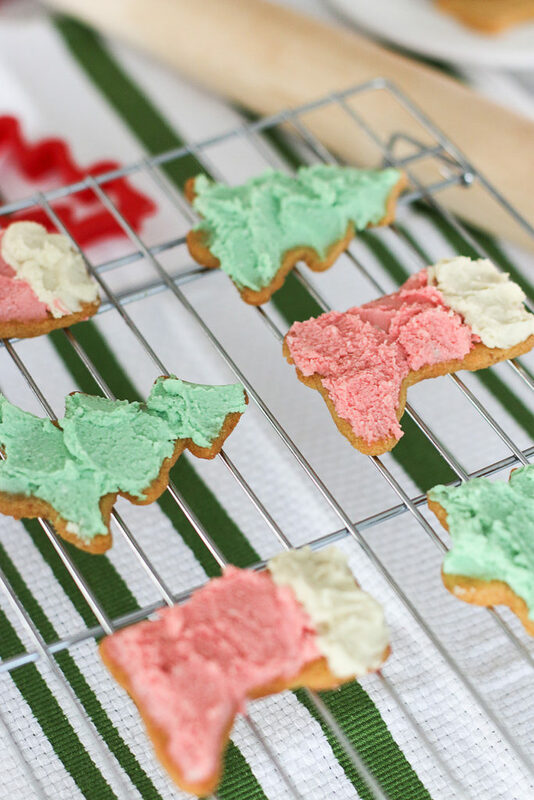 If you do wind up using to make these cookies, let us know how it worked out!